The natural landscapes of Nevada are simply breathtaking, with everything from sweeping deserts, snow-capped mountains and lush green valleys. This makes the state a perfect place to enjoy the outdoors and celebrate Earth Day. Explore our top 10 choices for places to get back to nature and celebrate Earth Day. 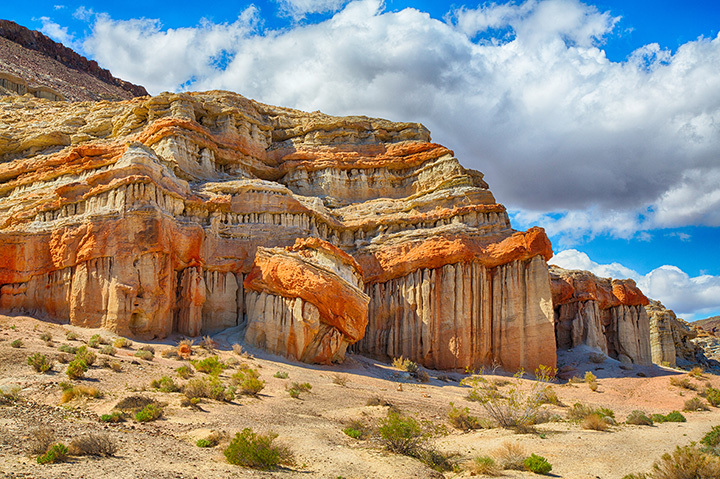 Each year the Friends of Red Rock Canyon host a photo contest. This highlights the best of the landscapes of the desert and everyone from the hobbyist to professional photographers are invited to take their best shot for the contest. Container Park in Las Vegas is a prime example of what a little recycling and a lot of imagination can do. Between the storage containers turned retail shops to the recycled art, this is the place where art intersects environmental awareness. Each year this local community celebrates Earth Day with a wide range of family friendly events. The Botanical Cactus Garden at the Ethel M. Chocolates is the largest one of it's kind in the Southwest. This is a free exhibit of some of the most diverse desert flora found anywhere. The tour is self guided and gives visitors a glimpse into some of the often overlooked plants of the desert. This volunteer-based organization hosts a wide range of clean up and conservation based events to do their part in keeping the deserts of Nevada beautiful. These events include working with local corporations for corporate sponsored days of service as well as individual volunteer options. One of the most popular volunteer jobs at the Friends of Red Rock Canyon is training to volunteer with the big Torts. These tortoise are cared for by volunteers and enjoy some pretty amazing benefits like their much loved baths and spa treatments. The Botanical Gardens at Springs Reserve is 110 acres of display gardens, natural desert flora and wildlife habitat. They offer a wide range of classes for both kids and adults about gardening in the desert climate. Guests can also take guided tours. The indoor Conservatory and Botanical Garden at the Bellagio is home to 14,000 square-feet of floral and plant displays. The seasonal displays are enjoyed year-round but their focus on the environment becomes even more important during events like Earth Day. When you think of the desert, kayaking may not be the first thing to pop in your head but it is a great way to see some sites you would never experiences otherwise! The beauty of the Colorado River and the way it cuts into the desert rock is amazing via these water craft and the trips include professional guides to help with the adventure. The Valley of Fire offers visitors an glimpse into some of the most spectacular views in the desert of Nevada. The red rock structures are amazing and the canyons cut away by the river add to the peaceful feel of the destination as the Pink Jeep tours takes you off the regular path and into the wild. Sloan Canyon is touted as one of the most significant cultural monuments in Nevada with it's collection of ancient petroglyphs. This unique landmark offers visitors a glimpse back in time and is a perfect outdoor spot to celebrate Earth Day. The surrounding desert adds to the adventure as visitors explore everything from the river bed to cliffs that seem to extend to the heavens.